A central Pennsylvania native, Brian graduated from law school in 2006 and moved to Colorado shortly thereafter. He served as a deputy district attorney in Colorado’s Fourth Judicial District from 2007 through 2010 and then worked as an associate attorney for a local firm practicing primarily in the areas of criminal defense, divorce & domestic relations, and personal injury. 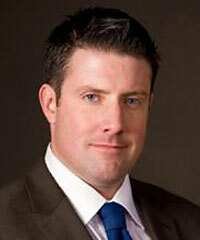 Brian opened Boal Law Firm in December 2011.